The contract of England manager Sam Allardyce, often called ‘Big Sam’, has been terminated after a mutual agreement was reached between him and the England FA. Earlier today, English news outlet Telegraph revealed how Allardyce gave advice to undercover reporters acting as businessmen on how to get around FA rules, and also used his post as England manager to pocket a £400k deal for himself. He agreed to travel to Hong Kong and Singapore as an ambassador, and advised the ‘businessmen’ on how to circumvent the rules put in place to prevent third party ownership of players. He said that it’s not a problem to bypass the rules, and that some other agents are already doing it. All of this was being secretly recorded by the reporters. He even referred to the previous England manager Roy Hodgson as ‘Woy’, and said that Hodgson should have told assistant manager Gary Neville to sit down and shut up. He further admitted that the FA’s decision to redevelop Wembley was stupid. 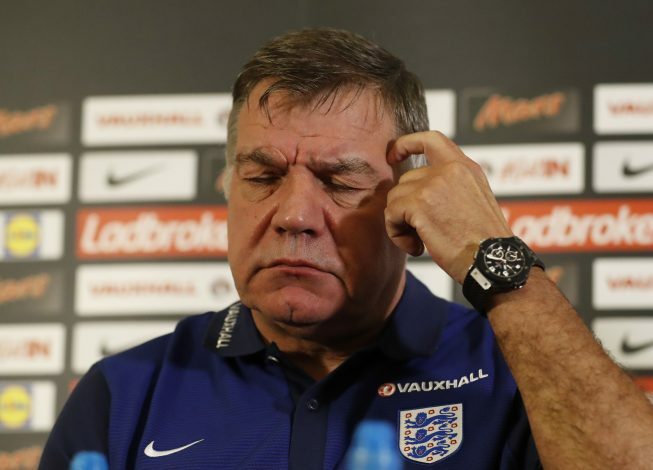 Allardyce will now leave the national team with a 100% win record. Allardyce’s conduct, as reported today, was inappropriate of the England manager. He accepts he made a significant error of judgement and has apologised. However, due to the serious nature of his actions, The FA and Allardyce have mutually agreed to terminate his contract with immediate effect. This is not a decision that was taken lightly but The FA’s priority is to protect the wider interests of the game and maintain the highest standards of conduct in football. The manager of the England men’s senior team is a position which must demonstrate strong leadership and show respect for the integrity of the game at all times. Gareth Southgate will take charge of the men’s senior team for the next four matches against Malta, Slovenia, Scotland and Spain whilst The FA begins its search for the new England manager.